This is my solution I removed the wooden fold up legs which I found unstable and too heavy. These trestles are very stable adjustable and will provide support for future projects. 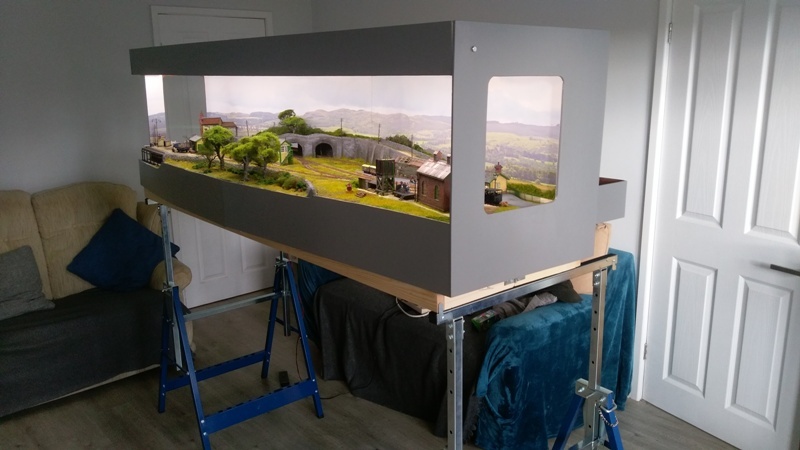 The wooden frame is attached with velco which I found surprisingly strong.The layout is held in place with quick release clamps. Neat approach. I shall do some researching here. What did they weigh? Only issue I can see would be a less than level floor. 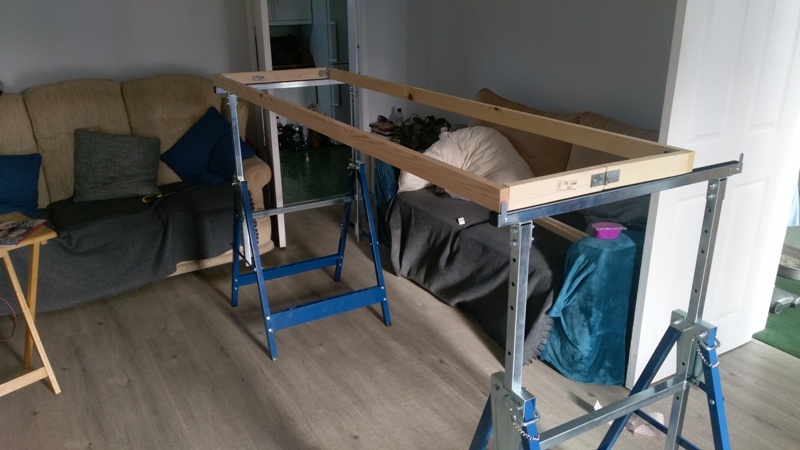 You can get those same ones at screwfix i have some i use on jobs they get abused terribly but they survive well if you had an unlevel floor you just use clamps on the riser legs instead of using the peg positions. Found some on Amazon here as well as eebuygum. Shipping over from the UK to VA, US would be a bit expensive.